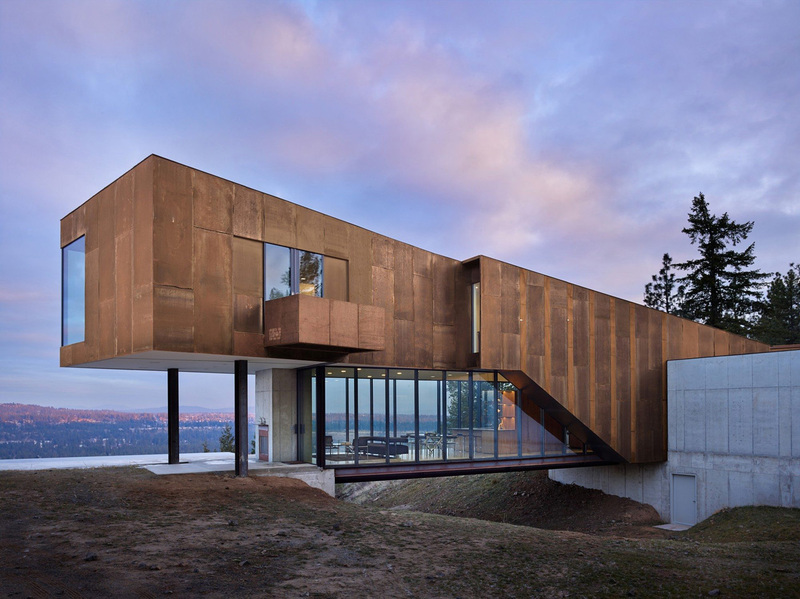 Straddling the terrain on a bluff in Washington, the Rimrock House by Olson Kundig respects its cliffside property. 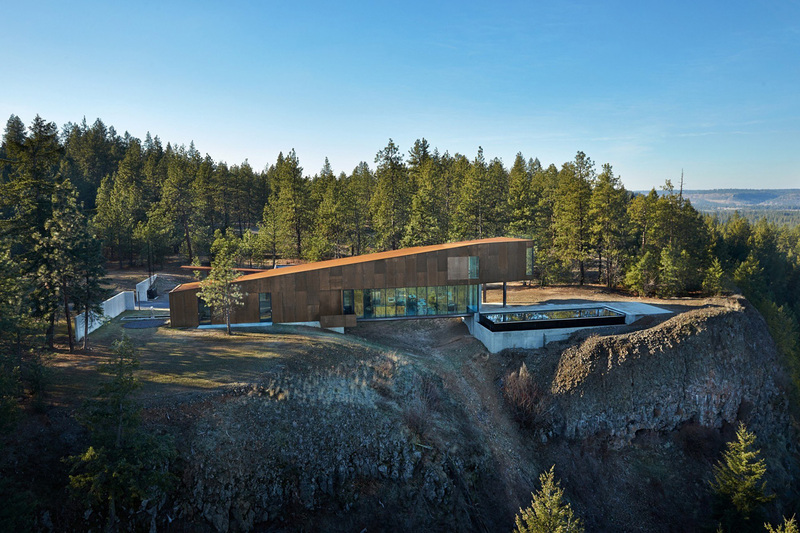 The structure bridges over a natural wash, maintaining the site’s existing animal path while also elevating the glazed facade above the winter snow. 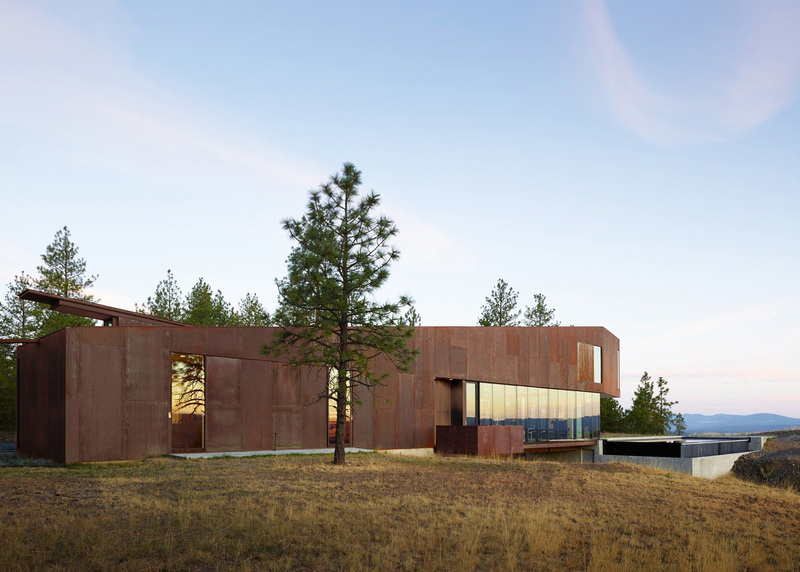 The remainder of the exterior is clad in weathered steel, a material that can handle the harsh climate and also meshes with the rugged scenery. 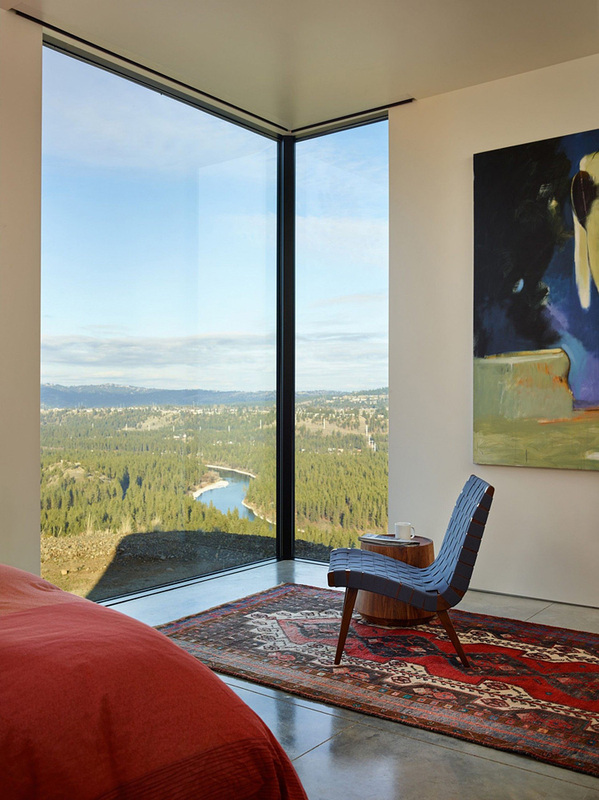 The opaque regions of the home are reserved for the private rooms. 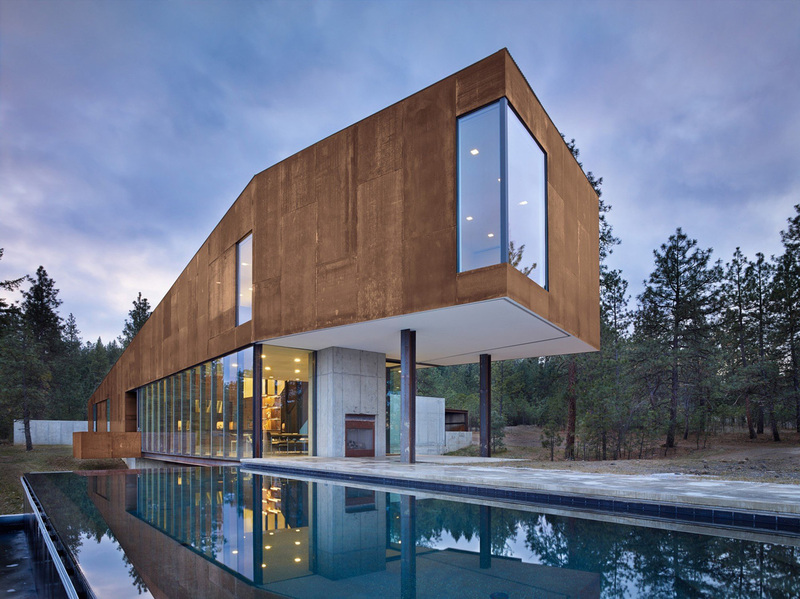 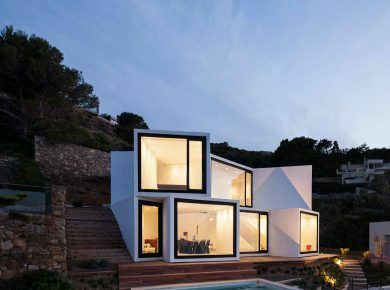 Slim windows offer glimpses of the landscape without sacrificing privacy. 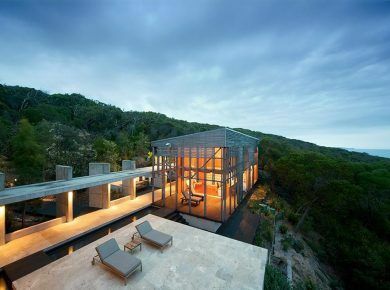 On the lower level, the main living area is wrapped in glass. 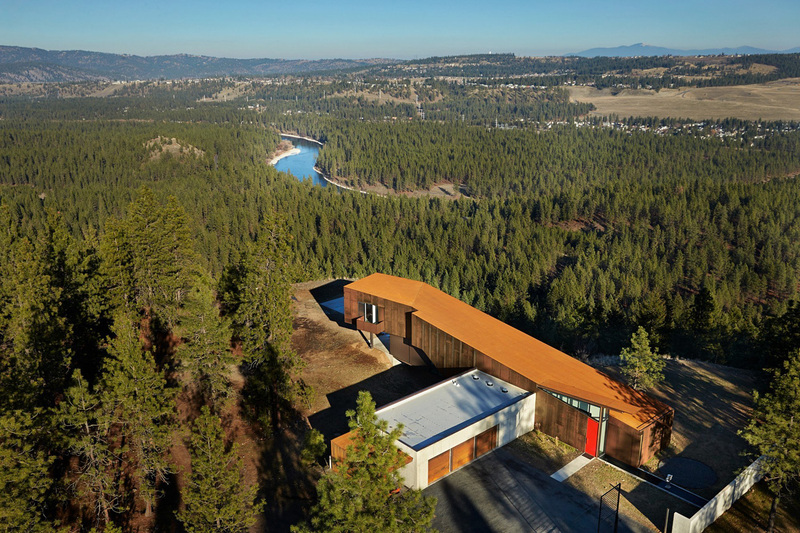 This transparent boundary provides the kitchen, dining, and sitting room with panoramic views over Riverside State Park and the north end of Spokane. 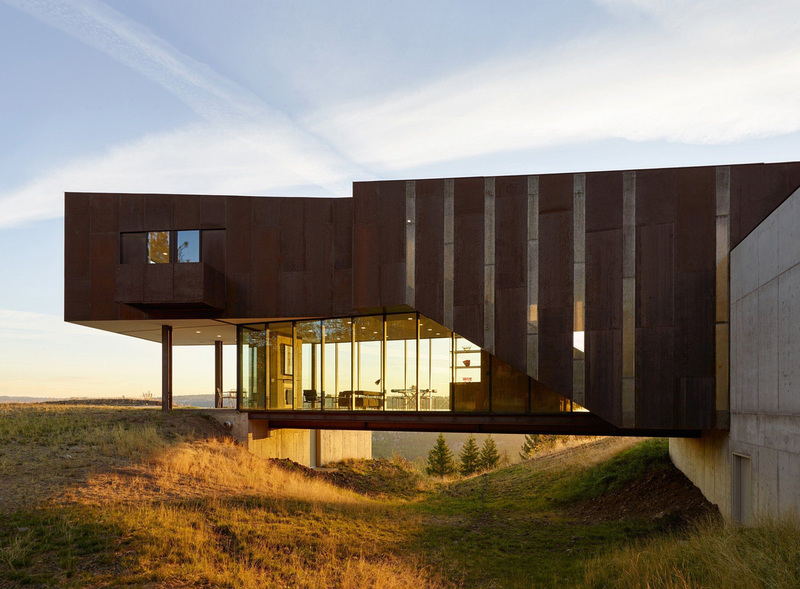 If you want some more creative houses on a cliff – you should check our list of 10 spectacular cliff top houses.